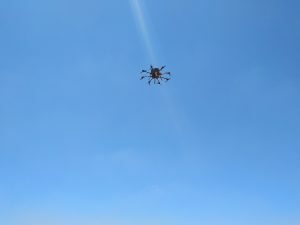 The growing prevalence of drones in the market, their low cost and high availability have all made them a potential threat to privacy and a risk to strategic installations, government institutes, airports, and a means for surveillance and documentation of military bases; weaponized drones have been used for attacking various targets. Neutralization by a robust defense: collision, net launching, etc. The Israeli startup RoboTiCan has developed a ground-breaking solution at the third level. The company’s system is, in fact, the only one that can apply, as an operating prototype, the robust defense layer with very high success rates. Their system collides with the drone and neutralizes it. The company specializes in the development of autonomous systems. Its systems are not remotely operated but rather they sense the environment, operate a ‘thinking’ process, plan the mission and execute it. 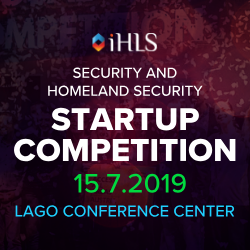 RoboTiCan has recently won the third prize in the Startup Competition for Security, Defense and Homeland Security organized by iHLS, and is participating at the fifth cycle of iHLS Security Accelerator. RoboTiCan was founded in the southern city of Be’er Sheba by graduates of the Ben-Gurion University of the Negev and technical experts, who aspired to establish an innovative startup in southern Israel. The entrepreneurs are Hagai Balshai, CEO; Yam Geva, CTO; and Eli Ben-Aharon, founding partner and Business Development Manager, who was one of the founders and R&D VP of Controp Precision Technologies, the manufacturer of electro-optic payloads. They started with manufacturing robots for the university, and later they began to supply robots to the defense sector, the commercial market and for export. 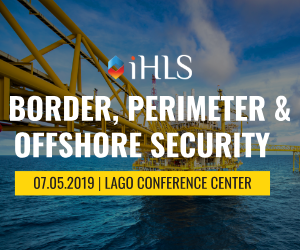 The entrepreneurs have identified already in 2009-2010 the growing need in counter-drone systems both by the commercial market and defense and security agencies. In response, they developed a ground-breaking technology in the fields of electro-optics and data from an external radar as a defense system against aircraft flying close to the ground. 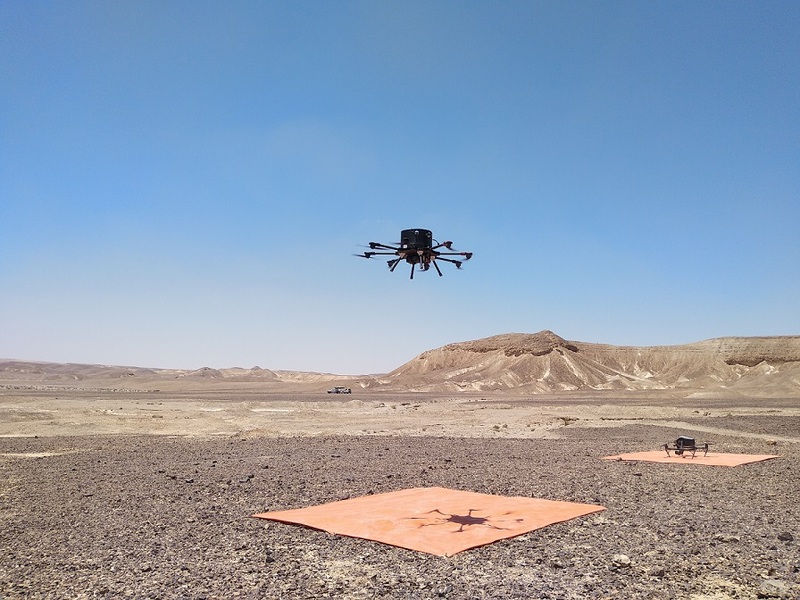 The Goshawk robot they developed is a completely autonomous system that detects and identifies drones from a distance, applies a thinking process and then physically collides with the target drone and intercepts it. The system can interface with a radar, that enables it to detect the target from a far distance. The Goshawk system takes off in a collision course towards the enemy drone. The system is capable of intercepting a wide array of drones, such as the leading DJI drones. Several prototypes of the Goshawk robot were already developed, and currently, the last upgrades are made before going to market. Moreover, the smart system can also home in on targets other than drones, e.g. objects such as balloons and kites and neutralize them. During recent weeks, the company has been conducting tests in the interception of incendiary kites and terror balloons through a model similar to the Goshawk. 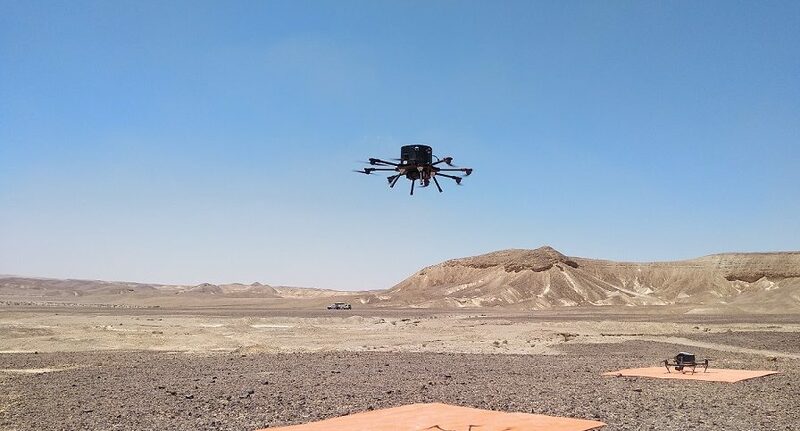 According to RoboTiCan CEO, Hagai Balshai, over the backdrop of advances in the recent tests, the company intends to sell its innovative product mainly at the American market, to clients in the fields of security, airports, law enforcement, securing large-scale events, etc. What is their vision for the future? “Implementing our technology also in world events such as the FIFA World Cup and the Olympic games,” he said. The company has several other innovative developments. 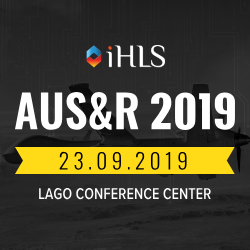 One of them is the Rooster, an array of drone swarm designed for reconnaissance, search and rescue in urban environments, closed areas and indoors, for rescuing survivors in the aftermath of an earthquake, for example. The Rooster is a drone inside a cage, which enables it to roll and advance on the floor and jump over obstacles. These drones communicate with each other and can supply communication in areas where it is not available.